Well there’s three words I didn’t think I’d say together. But they’ve turned into three words I’ve learned to love pretty quickly. A combination only a French influenced country could come up with. 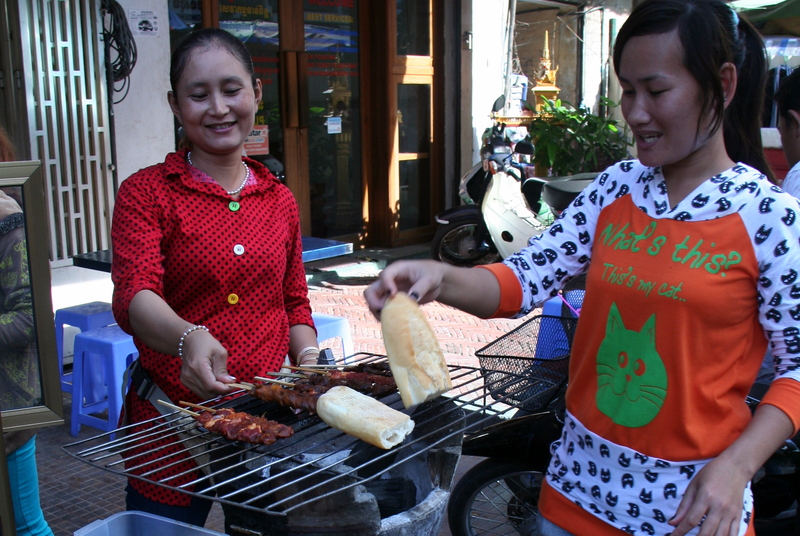 All the old Indo-Chinese countries produce baguettes – a reminder of their french colonial days – and each have their own twists. 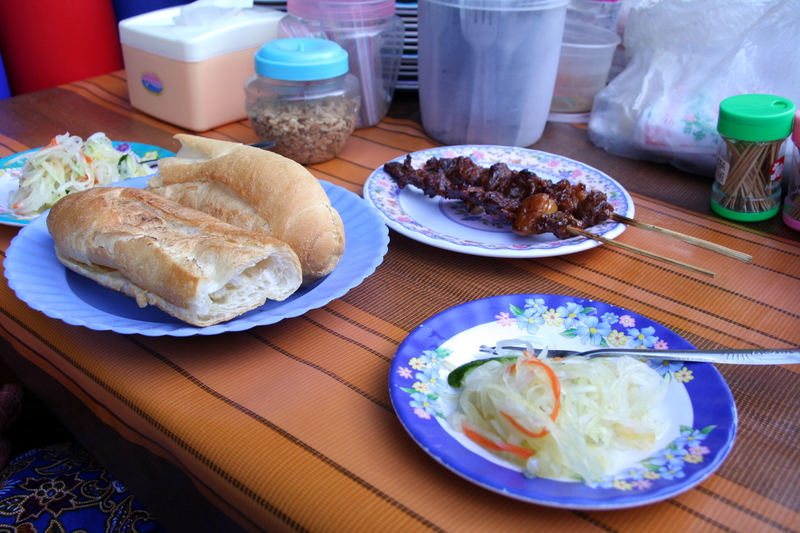 In Phnom Penh this is the way they serve them – slightly toasted baguette lathered in butter, some grilled sticky pork kebabs, pickled green papaya and cucumber and then the condiments – sweet chilli sauce and crushed peanuts to sprinkle on top. I’m sure the french would be proud of their legacy. 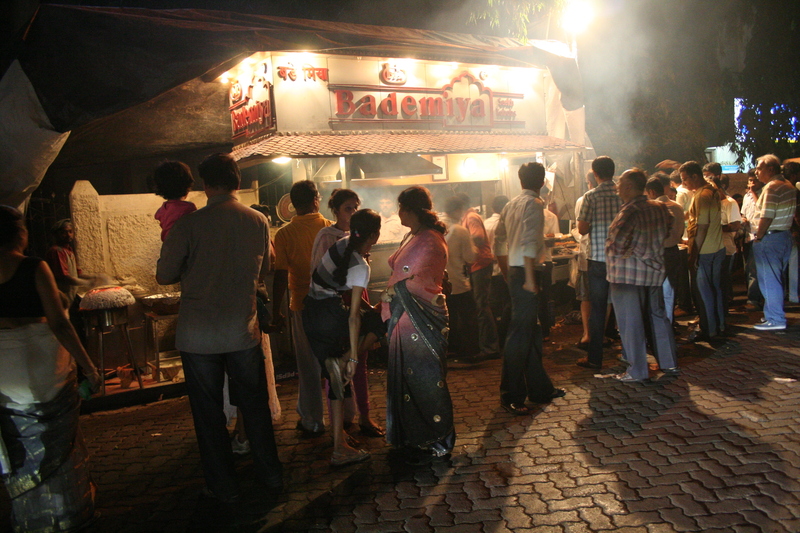 Down a back street in Colaba is one of the most captivating restaurants in Mumbai. 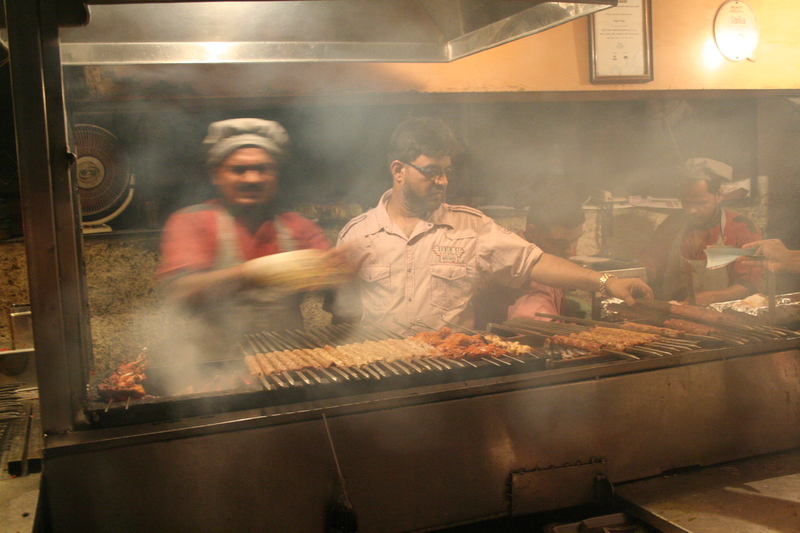 In fact it’s not really a restaurant; it’s a stall selling kebabs that puts out a few tables at night. But this place is run like a restaurant with a team of servers and chefs pumping out food for hundreds of people without making mistakes. Its a pet hate of mine when waiters don’t write things down, especially when it comes out wrong, but here they are taking orders for three or four tables and the food still comes right. When I see them run off to tell one of the clerks with their clipboards and bunches of pink papers I realise they probably don’t know how to write. The clerks keep track with an ongoing check for each table and hand it back to the waiter when the bill is requested. A complicated system but one that works and has probably worked for along time. The food is a long list of melt in the mouth kebabs served with relish, onions and the freshest flat bread you could hope for. I could eat here every day. 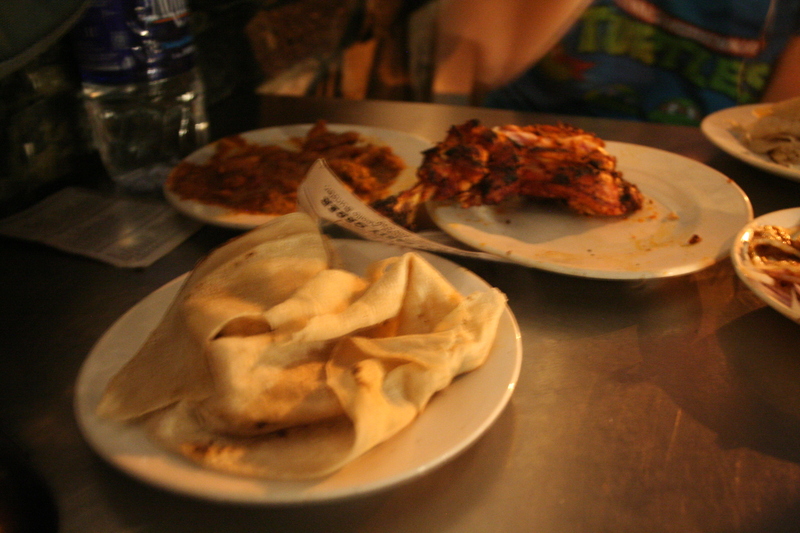 We ate Chicken seekh, mutton kebabs, a mutton curry and some grilled chicken legs. Everything except the legs, which were a bit tough, was melt in the mouth. But it’s not only the food which makes this place. The setting down a street which cars are still trying to get down, the tons of smoke coming off the char grill and the buzzy atmosphere make it a place that really draws the crowds.